It's easy! You can find out how much your house is worth in just two simple steps. 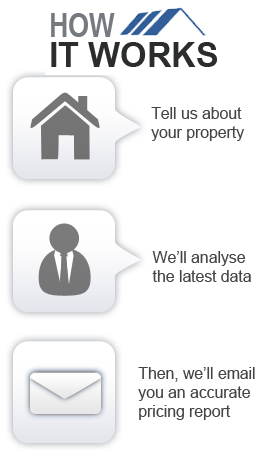 We'll ask you a few quick and easy questions about your property so we can complete your free House Price Report. Once you've answered these questions, all that is left to do is hit the send button. We'll then receive the info through our secure servers and put together an up-to-the-minute, accurate House Price Report and email it back to you within 48 hours.